The new Supercharging site is accessible from the M8, M9, and A720. The Supercharger is in the car park off Almond Road, near the terminal. Model S drivers gain access to the car park 24 hours a day by pressing the button on the barrier and requesting Supercharger access. One hour free parking is complimentary whilst Supercharging. "We're really pleased to open our first Scottish Supercharger. The location makes travel in and around Edinburgh easy and also enables a route from Edinburgh to both Glasgow and Stirling and beyond," said Georg Ell, Tesla's UK Country Director. "It's an exciting time for Tesla in Scotland. There are plans for an Edinburgh store and service centre next year, so watch this space for more activity." 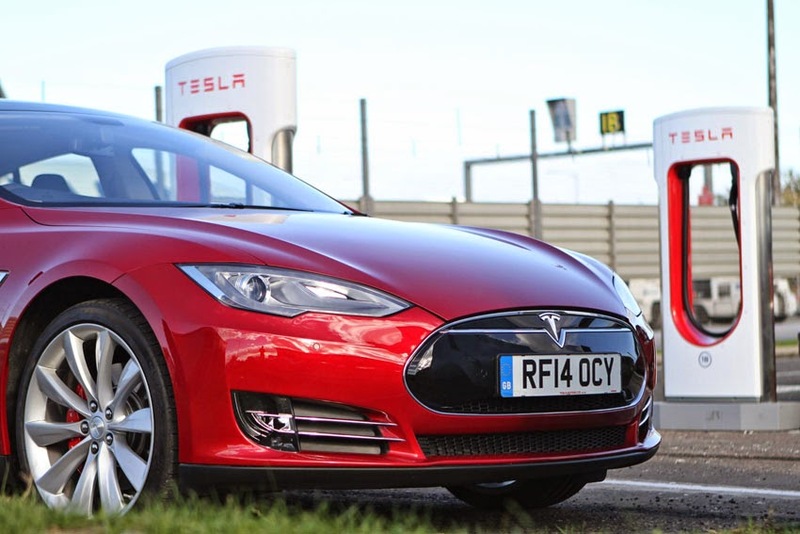 Gordon Dewar, Chief Executive of Edinburgh Airport, added, "It's great that Edinburgh Airport is now home to Scotland's first Tesla Supercharger, which will provide convenient service for Tesla owners when they arrive and depart. We're committed to giving our passengers the best experience possible and today's launch is a direct result of customer feedback. We look forward to a new partnership with Tesla and wish them luck in their Scottish ventures."